Washington • Harriet Tubman, an African-American abolitionist who was born a slave, will stand with George Washington, Abraham Lincoln and Benjamin Franklin among the iconic faces of U.S. currency. The $20 bill will be redesigned with Tubman&apos;s portrait on the front, marking two historic milestones, Treasury Secretary Jacob Lew announced Wednesday. 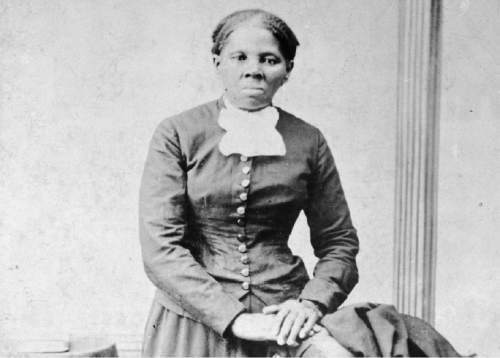 Tubman will become the first African-American on U.S. paper money and the first woman to be depicted on currency in 100 years. The leader of the Underground Railroad will replace the portrait of Andrew Jackson, the nation&apos;s seventh president and a slave owner, who will be pushed to the back of the bill. Lew also settled a backlash that had erupted after he had announced an initial plan to remove Alexander Hamilton, the nation&apos;s first Treasury secretary, from the $10 bill in order to honor a woman on the bill. Hamilton will remain on the $10 note, Lew said. 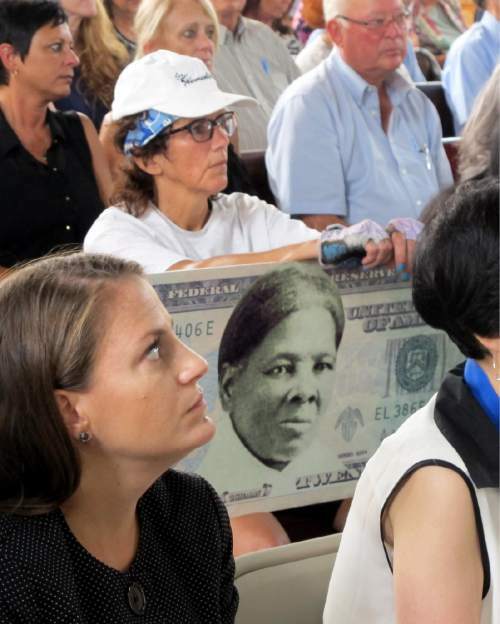 Instead, the Treasury building on the back of the bill will be changed to commemorate a 1913 march that ended on the steps of the Treasury building that featured suffragette leaders Lucretia Mott, Sojourner Truth, Susan B. Anthony, Elizabeth Cady Stanton and Alice Paul. The new image on the $5 bill will include civil rights leader Martin Luther King Jr., who gave his famous "I have a dream" speech on the steps of the memorial in 1963 and Marian Anderson and Eleanor Roosevelt. Anderson, an African-American opera singer, gave a concert at the memorial in 1939 after she had been blocked from singing at the then-segregated Constitution Hall. The Lincoln Memorial concert was arranged by Mrs. Roosevelt. An online group, Women on 20s, said it was encouraged that Lew was responding to its campaign to replace Jackson with a woman. 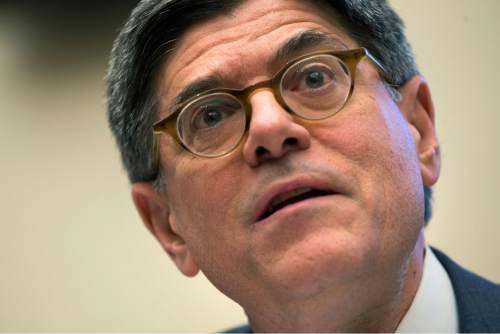 But it said it wouldn&apos;t be satisfied unless Lew committed to issuing the new $20 bill at the same time that the redesigned $10 bill is scheduled to be issued in 2020. Lew didn&apos;t go that far Wednesday. But he pledged that at least the designs for all three bills will be accelerated so they&apos;ll be finished by 2020  the 100th anniversary of passage of the 19th amendment giving women the right to vote. He said the new notes will go into circulation as fast as possible after that, consistent with the need to incorporate new anti-counterfeiting measures in the designs. Federal Reserve Chair Janet Yellen, the first woman to head the central bank, said she welcomed the decision to honor the achievements of women in American history. She said the Fed would work closely with Treasury to get the new bills developed and into circulation. 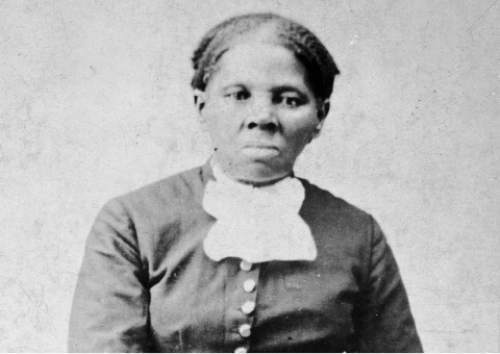 Tubman, who was born into slavery in the early part of the 19th century, escaped and then used the network of anti-slavery activists and safe houses known as the Underground Railroad to transport other slaves to freedom. After the Civil War, Tubman, who died in 1913, became active in the campaign for women&apos;s suffrage. Numerous groups have been campaigning to have a woman honored on the nation&apos;s paper currency, which has been an all-male domain for more than a century. "Not only is this going to be the first African-American historical figure on U.S. currency, but it&apos;s a woman specifically from the era of slavery," Myers said. Wednesday&apos;s announcement helped mark a decades-long decline in the reputation of Jackson, once a pillar of the modern Democratic Party but now often defined by his ownership of slaves and the "Trail of Tears" saga that forcibly removed American Indians from their land. "Jackson at one time was mainly known as the champion of democracy and the defender of the union and the champion of the common man against aggregated wealth and bankers," said Daniel Feller, a history professor at the University of Tennessee and director of Jackson&apos;s papers.